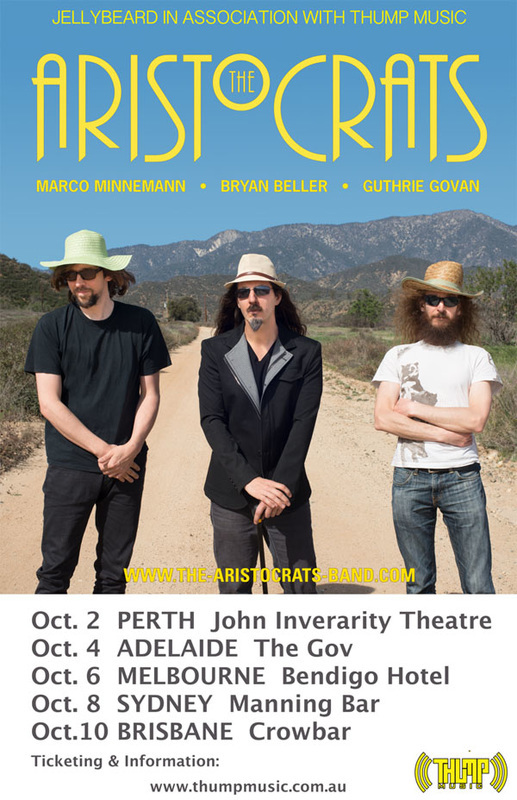 One of the most impressive and sought after bands in the instrumental rock/fusion scene today, The Aristocrats, will be heading to Australia this October for a national tour. Featuring the combined virtuoso talents of drummer Marco Minnemann (Steve Wilson, Joe Satriani), bassist Bryan Beller (Joe Satriani, Dethklok) and Guthrie Govan (Steven Wilson, Asia/GPS), the all-star supergroup have released three studio albums. The latest, Tres Caballeros, was released in June 2015 and saw them re-write their own rules to deliver a record with greater sonic depth than ever.